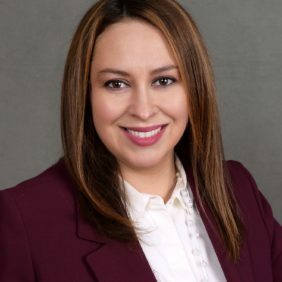 Elva Gonzalez has over 20 years experience in financial management in the not-for-profit and private sectors. These roles include Principal at Arenas Accounting Services LLC, a full-service accounting firm with strength in preparation of financial statements, tax returns, and schedules to support financial reports to various local non-profit boards. Elva provided continuity and stability to a number of firms going through transitions as an ‘outsourced’ CFO. Prior to launching her own accounting firm, she held various leadership roles at Motorola, Inc. From traveling the world as a senior auditor, visiting most, if not all offices worldwide, Elva’s career grew with more responsibility leading to her last role as the global accounting and finance manager of the Chief Technology Office with responsibility for approximately 700 employees and over $140M in annual expense budget. Elva is a Certified Public Accountant and holds a Bachelor of Science degree in Accounting from the University of Illinois Chicago.